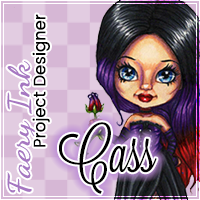 Cass here with my inspiration post. I'm using this gorgeous image from Amanda's first ever colouring book called Pretty Girls With Wings And Things. It has 42 pages of gorgeous girls and fairies for you to colour. There are links of where to buy it in the Faery Ink shop. 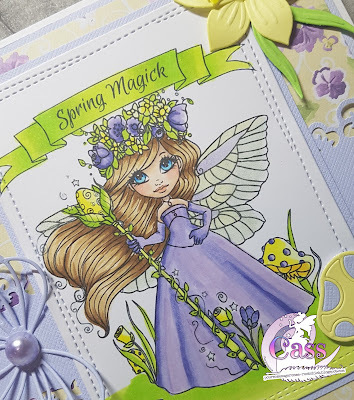 As Spring has finally sprung here in Scotland I decided to use this pretty image as she has the banner with Spring Magick. I wanted to go with Spring colours. I decided to go with the lemon and lavender combination with a hint of green. I really like this combo. 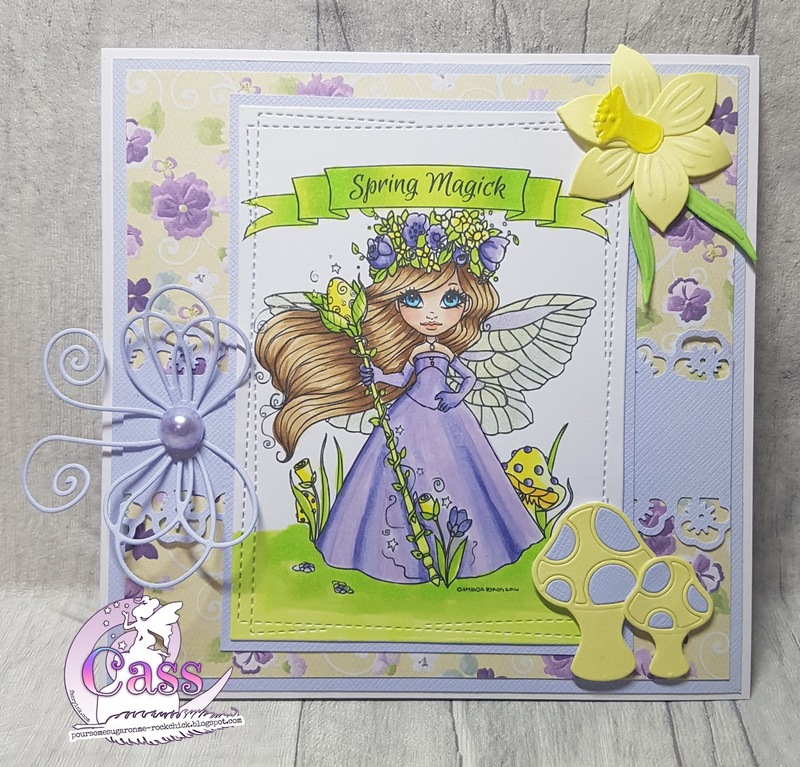 I used my favourite digi papers from Nitwit Collections which had the perfect colours to match my image. Here's a close up of this gorgeous image. 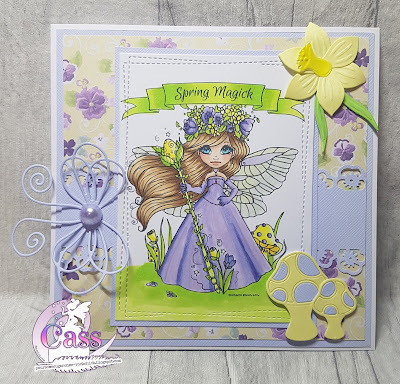 I coloured her wings using the palest copic shades of lavender,lemon and green and then covered them in clear wink of stella to give loads of sparkle. You can never have too much sparkle! I die cut the little toadstools in lemon and lavender too. I'm not sure you'll ever see any this colour but in fairyland I'm certain there is. We'd love to see what you make on our Faery Ink Facebook Group. Please pop by and share your projects. Hello! I'm Amanda and I draw pretty girls with wings and things for you to bring to life with color.